Everyone knows that all good parties have free food right? Plus what good anime doesn’t have fan service, so why not have both?! The catgirls play a vital role as the hostesses of Neko Nation and do much more then just satisfying the sushi appetites of our guests. 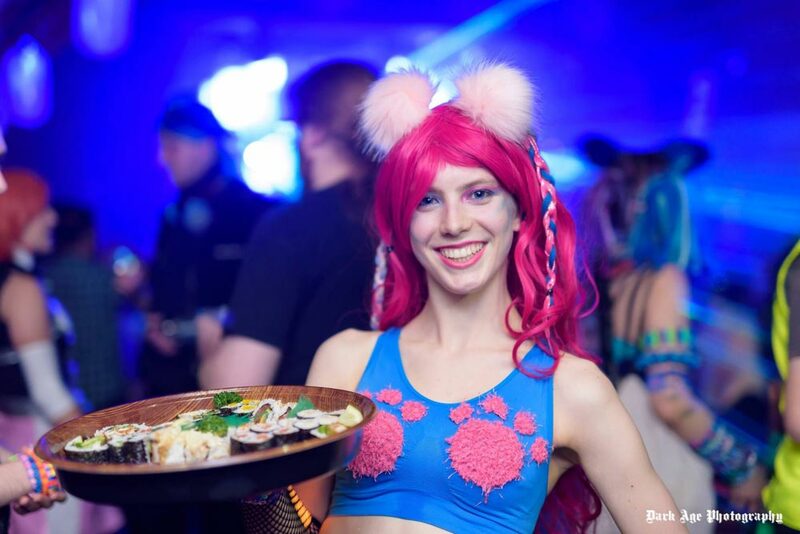 When they aren’t serving sushi they dance, sing along, socialise and make Neko Nation lots of fun for everyone! Our catgirls aren’t some random booth babes or your average promo girls, they watch anime, play video games and when they’re not serving sushi they want to party like all our other guests! Our specially selected catgirls play a huge part in making Neko Nation a magical night for everyone to remember! Oh and it’s not just catgirls, we’ve got catboys as well too!